My father always paid his own way. Just the way he was. He’d certainly pay the way of others but he always paid his own way. I liked that about him. And I ended up marrying a man who is exactly the same in that regard. Last May, he and my mom flew out to Northern California for Rory’s graduation from university. He didn’t usually insist on things. But he insisted on being present for her high school graduation and then her university graduation. I met them there. It was a great week. We probably ran them ragged taking in all of the sights. Chinatown, the Golden Gate Bridge and park, the Painted Ladies, the Marina, the Wharf, Napa Valley and loads more packed into the busy days. We used the BART to get into San Francisco from Berkeley. But there were other times when we needed to hail a taxi. Not always easy so my daughter used the Uber app on her phone. For those not familiar with Uber it is a car, taxi, or ride-share service. Your credit card is on file. You can see what driver is closest to your location and then order the car. The name of the driver, picture of person, type of car, etc. is all available to you. No payment need exchange hands. It’s billed to your card. Dad struggled with this. My daughter would order a car to bring them back to the hotel each evening. And he’d be fumbling around for his wallet trying to pay someone. Anyone. The driver, my daughter or me. He did not like that at all. Or this whole Uber thing. He sputtered about it. 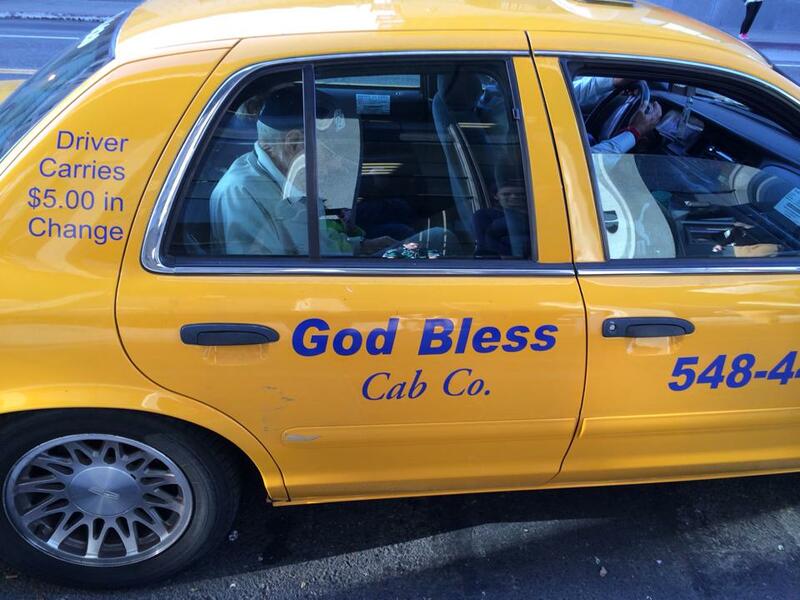 He was not comfortable with his college aged granddaughter paying for his taxi fares. After graduation I headed back to Malaysia. Rory accompanied her grandparents back to Rhode Island and stayed with them for three weeks. She told me that one morning she woke up and went to have breakfast. Papa’s soft-boiled eggs. Always perfect. Mom took care of the fried eggs but the soft-boiled ones were Dad’s specialty. He would even take the tops of the eggs off for us. Tap, tap, tap with the edge of a butter knife. 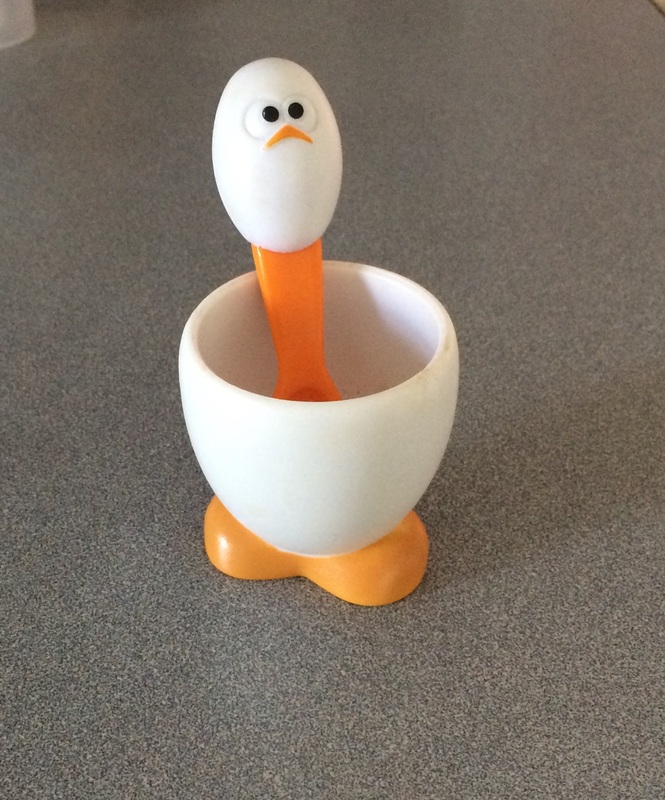 Egg cup that Annie bought Papa a few years ago. That morning, under her place mat on the kitchen table, there was a crisp one hundred-dollar bill. That’s just the way he was. I’m going to miss his soft-boiled eggs in the morning. I’m going to miss him taking off the top portion of the shell for us. I’m going to miss his old school ways. I’m going to miss just the way he was.